Grand strategy at bargain prices! 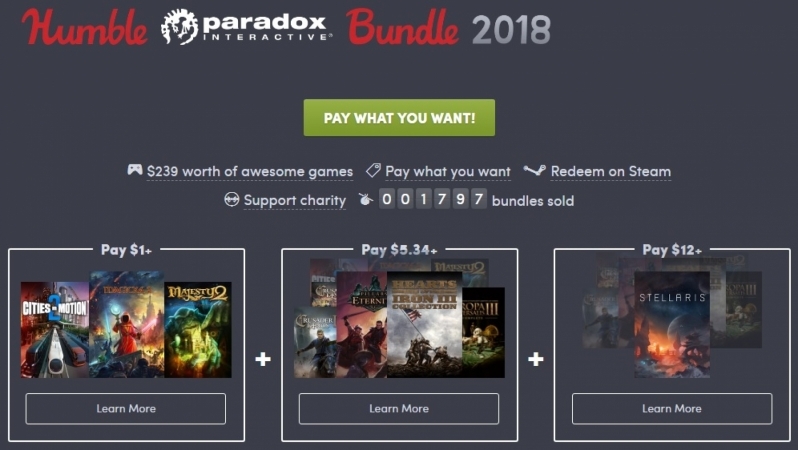 Read more about the Humble Paradox Interactive Bundle. Don't really think it's worth it tbh. Getting old games and then only 2 new(ish) strategy games. One of which is only DLC for a game that has 28DLCs and another game that has 10 DLCs and both with all DLCs will cost you over $200. So no I don't agree with it being bargain prices. Only because everybody says you need all the DLC to enjoy CK2 and Stellaris.